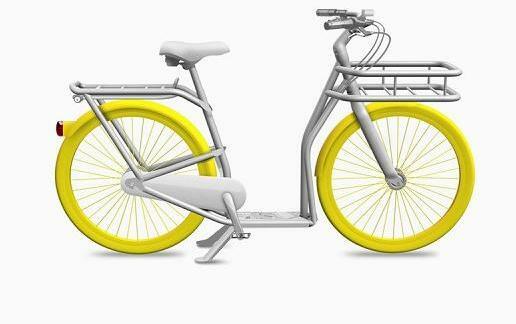 Bordeaux Unveils the "Ideal City Bike"
It looks like Bordeaux, France will be the next city to have its custom-designed bike for its bike-share program. Philippe Starck, a French product designer, unveiled the final rendering of the “ideal city bike” with Mayor of Bordeaux Alain Juppe during the second annual edition of Cyclab—a sociological, political, industrial and civic event that considers the future of the bike. Here is the best part: the bike is also a scooter, which will come in handy while biking up to the suburbs to the east of town—not that the city needs any help increasing the number of cyclists. The number of cyclists in the city tripled over the last 15 years, and today, 10 percent of residents commute by bike. Bordeaux has also made efforts to limit car traffic and develop a tramway, working to make sustainable transportation a raison d’etre. We recently wrote about an invention that harnesses the braking power of a bicyclist and reuses it when the biker needs to accelerate. What do you think about Bordeaux’s newest bikes? Are they more stylish than your city’s bike-share bikes?